If you are reading this page, you have probably been struggling to find a way to reduce your debts, but haven’t been successful in keeping creditors from hounding you. You may have considered bankruptcy before, but were hoping that you could work things out on your own. And, you may have even felt a little embarrassed to speak with someone about it…but don’t worry, you don’t have to do this alone. 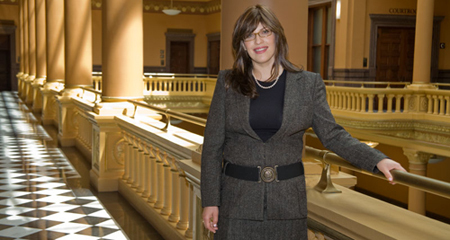 Brooklyn bankruptcy lawyer Rachel Blumenfeld is here to help. Most people facing the prospect of bankruptcy are hard working, sincere individuals who find themselves faced with overwhelming debt due to unfortunate and sometimes life changing events, or circumstances beyond their control such as job loss, illness or divorce. Brooklyn bankruptcy lawyer Rachel Blumenfeld understands that financial problems can be very stressful and that this can be an emotionally challenging time. Her warm and sympathetic approach helps to alleviate concerns and put you at ease. If you are behind on your payments and unable to catch up, you may be struggling with the decision to file. Ms. Blumenfeld believes that knowing your rights and determining if bankruptcy is the best solution for your situation are critical first steps to eliminating debt and building future financial health. There are many misconceptions about the process and changes to the laws have made it even more confusing. Brooklyn bankruptcy lawyer Rachel Blumenfeld helps you understand your rights under the law and advises you on the pros and cons of filing a bankruptcy petition. If a filing is appropriate, she will advise you of the best type of bankruptcy action to pursue. She crafts her approach to your needs and ensures that the process goes as smoothly and easily as possible. If you need to protect your home, eliminate debt, or stop creditor harassment and wage garnishments in New York, bankruptcy attorney Rachel Blumenfeld will help you determine whether to file a chapter 7, chapter 11 or chapter 13 petition. A Brooklyn bankruptcy lawyer and defender of her client’s rights, Rachel will ensure that you and your family’s best interests are protected. If bankruptcy is not the best option for you, Ms. Blumenfeld is also a debt settlement attorney who helps clients attain credit card debt relief. Contact Brooklyn bankruptcy lawyer Rachel Blumenfeld today at 718-858-9600 or click here to schedule your free 30 minute, initial bankruptcy consultation, or read more about Ms. Blumenfeld’s bankruptcy services.